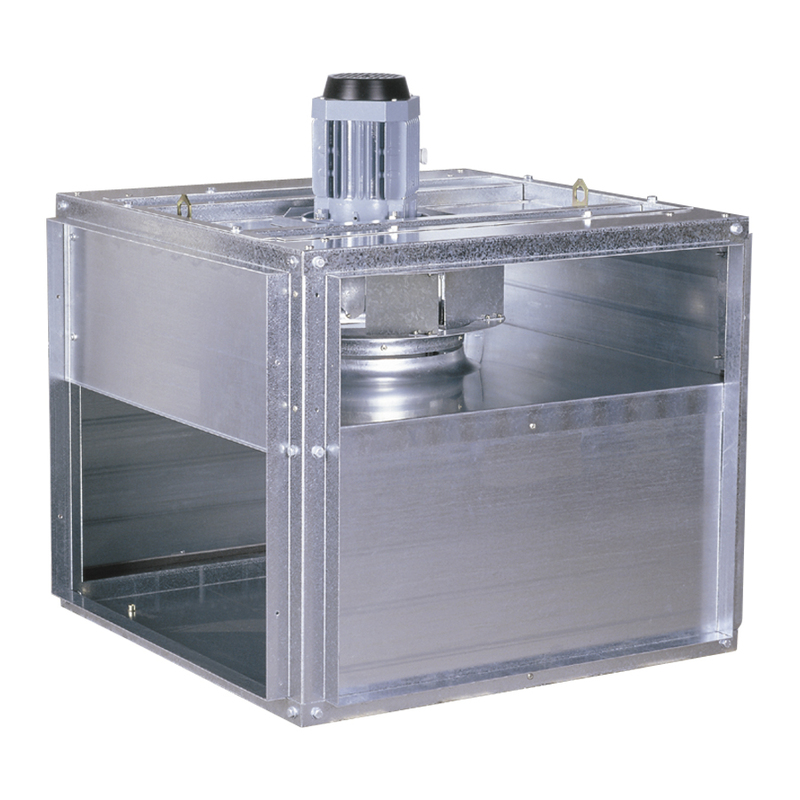 In S&P we have a solution for each specific ventilation need, in our in-line duct fans you will find an efficient and completely silent range for residential, commercial and industrial applications. Our in-line duct fans, centrifugal and axial, will make you increase your energy savings thanks to their efficient motors. In addition, you will be able to adapt our fans to each situation in order to achieve a better performance, including: heating batteries, ambient temperature sensors, controls and filtration boxes. And what is more, we have developed for you ARVent so you can choose the best ventilation solution for each situation and room. ARVent is an Augmented Reality app with which you will be able to simulate in your real environment our in-line duct fans without any installation, only with the use of a marker. The Noise Abatement Society has certified some of the models of this range of in-line duct fans for their low level noise. Those fans are specifically recommended for offices or other places where low sound level is an essential element for the comfort of the users. They can incorporate a run-on timer adjustable within 1 and 30 minutes to optimise the energy consumption. The in-line duct fans from the TD-Ecowatt series are the perfect ventilation solution for homes, commercial locals or industries in which the extractor has to be in continuous operation during a lot of hours. It is also suitable for applications that require a Demand Controlled Ventilation System involving the use of other sensors or controls. Their Brushless DC motor enables high efficiency and low consumption, reaching up to 70% of energy savings. The TD-Silent Ecowatt S&P in-line duct fans are extremely quiet. Their Brushless EC motor gives them high efficiency and low consumption. Fan speed for models from 350 up to 1000 is 100% adjustable thanks to the potentiometer placed in the connection box or with an external control type REB-ECOWATT. TD-Silent Ecowatt in-line duct fans series also have versions (in the TD-Silent Ecowatt CAV) equipped with a variable airflow sensor that allows the creation of a plug&play system of constant air volume (CAV). The bigger models (1300 and 2000) are manufactured from heavy gauge sheet steel protected by a tough epoxy polyester paint coating, acoustic insulation (MO) glass fibre, outer shell and aerodynamic inlet to improve airflow and reduce sound. They also have a body that can be removed without dismantling the adjacent ducting and therefore facilitating any installation or maintenance. 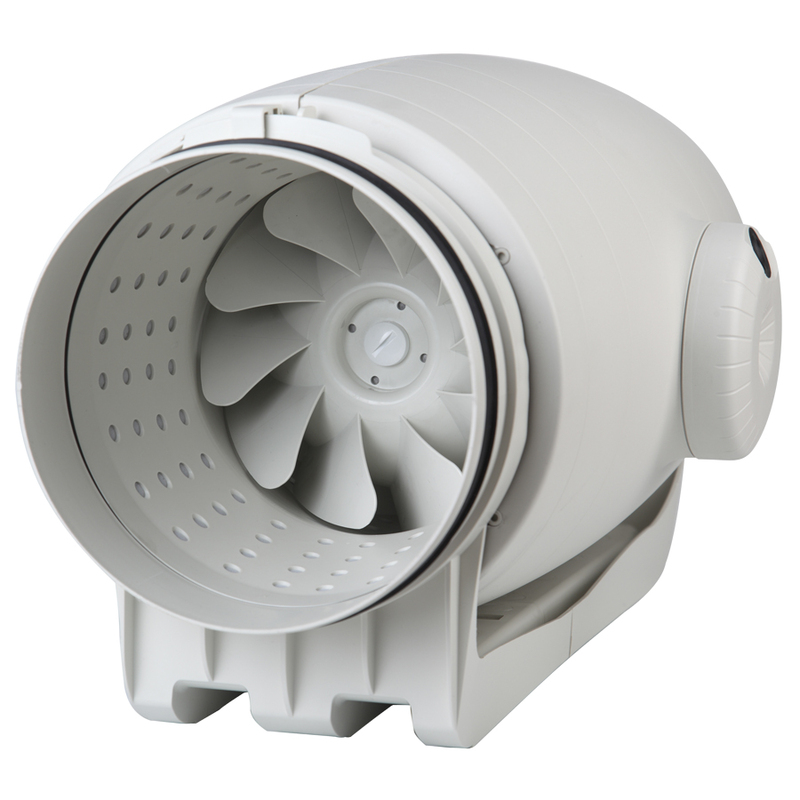 The TD-Mixvent are series of in-line duct fans with a unique design of the support bracket that allows the motor and impeller assembly to be fitted or removed without dismantling the adjacent ducting. They have ball bearings and safety thermal overload protection. Run-on-timer adjustable within 1 and 30 minutes versions available in order to optimise the use of the fans. The in-line mixed flow duct explosion proof high efficiency fans from TD-Atex series are the best solution for explosive atmospheres. While TD-800 Ex is manufactured in antistatic plastic material, the others models are manufactured from sheet steel protected with black polyester paint coating. In addition, they are detachable without demounting duct connections.